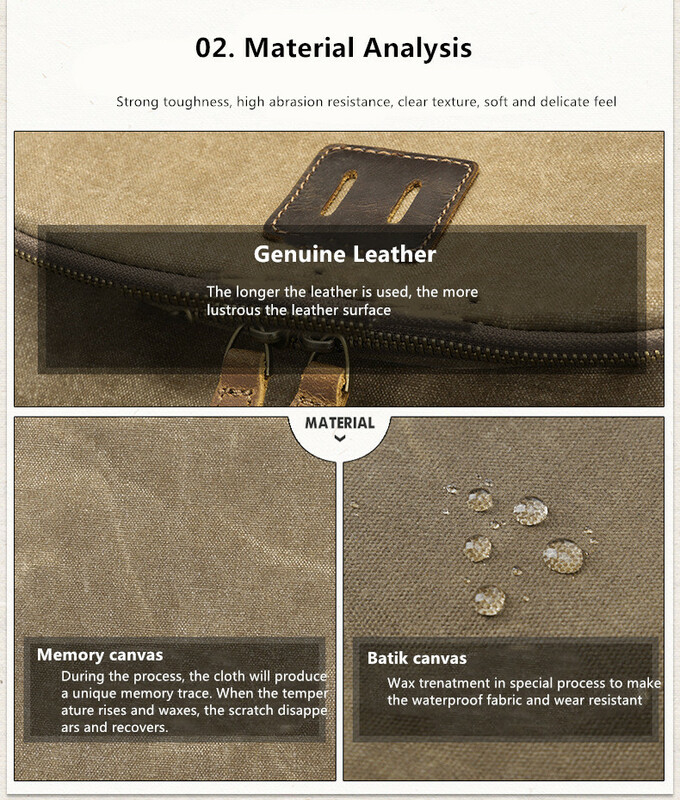 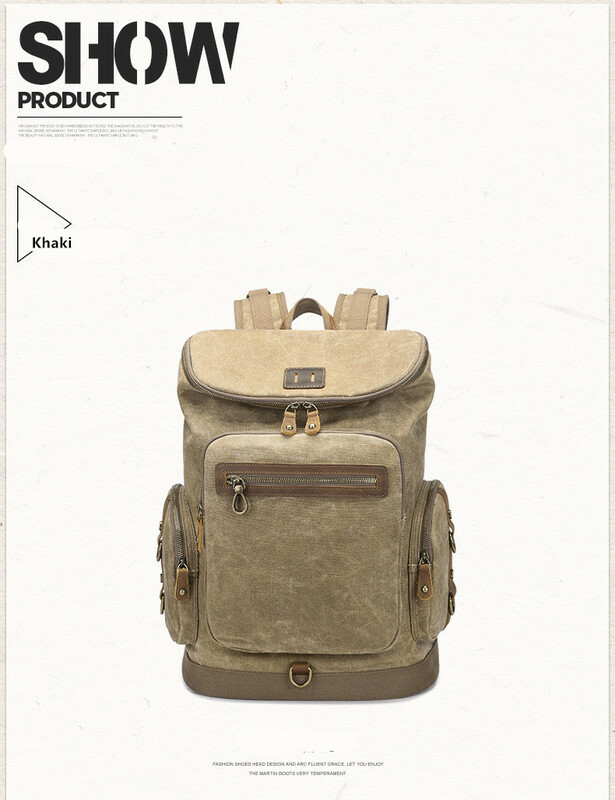 MATERIAL: soft canvas and genuine leather feels very comfortable to wear and a nice touch. 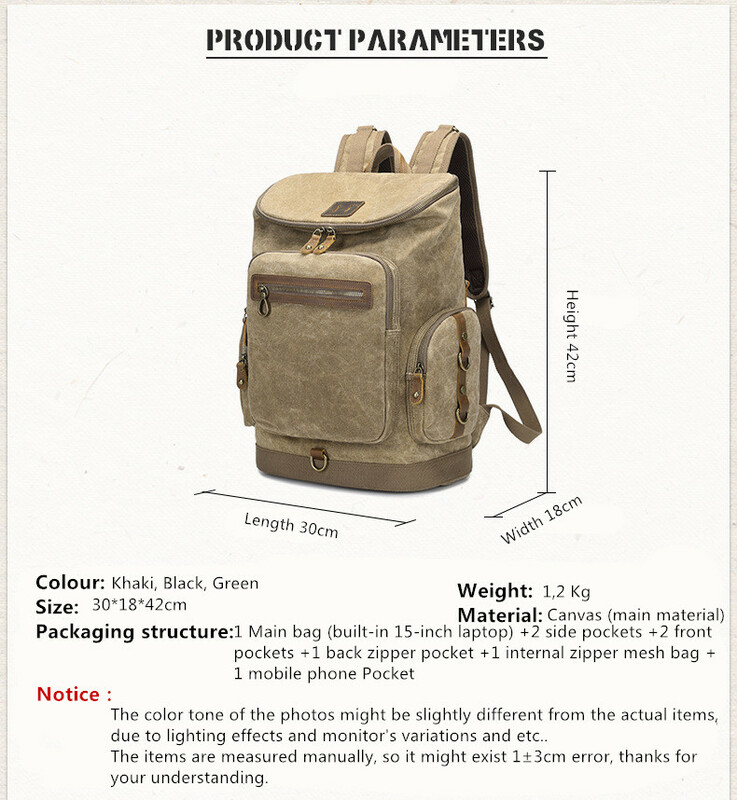 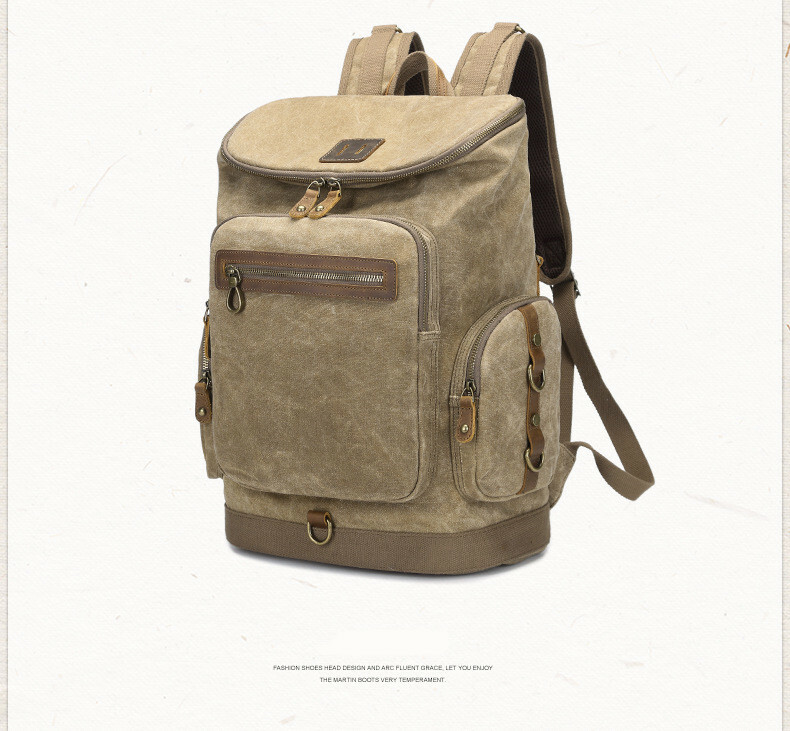 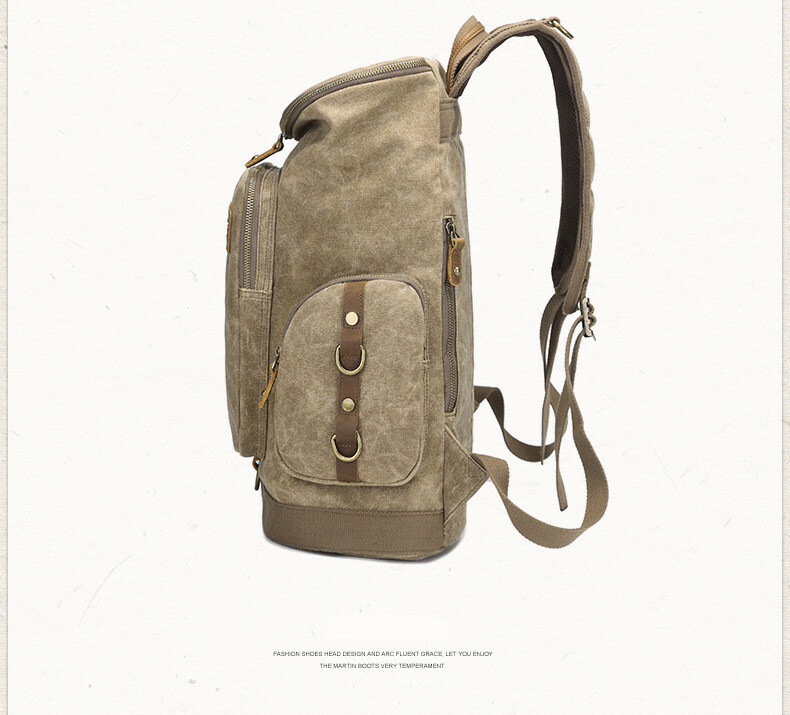 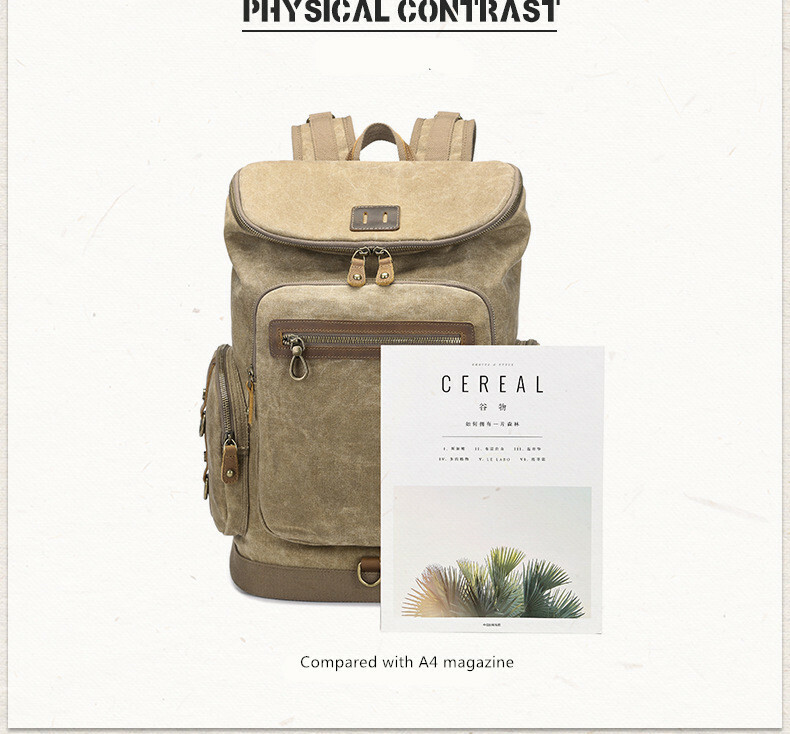 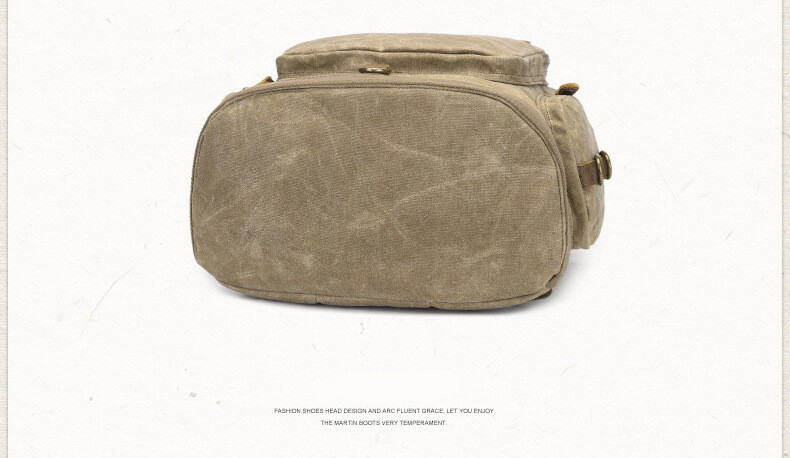 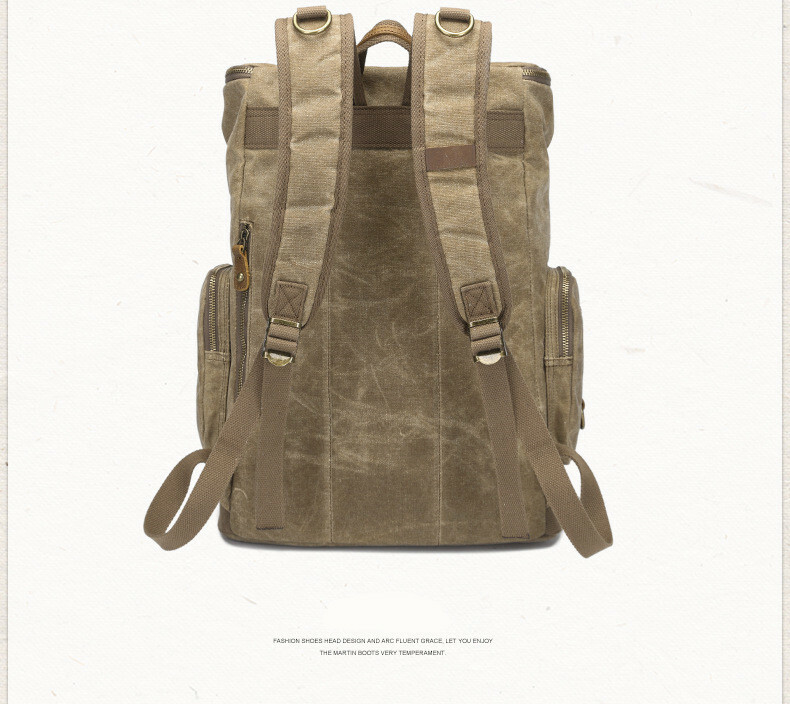 LAGER CAPACITY: Canvas rucksack size is about 16.5* 11.8*7.1inches, Big enough to fit everyday essentials such as laptop, notebook, book, iPad, lunch, camera, shaving equipment, garments, or other accessories that you need. 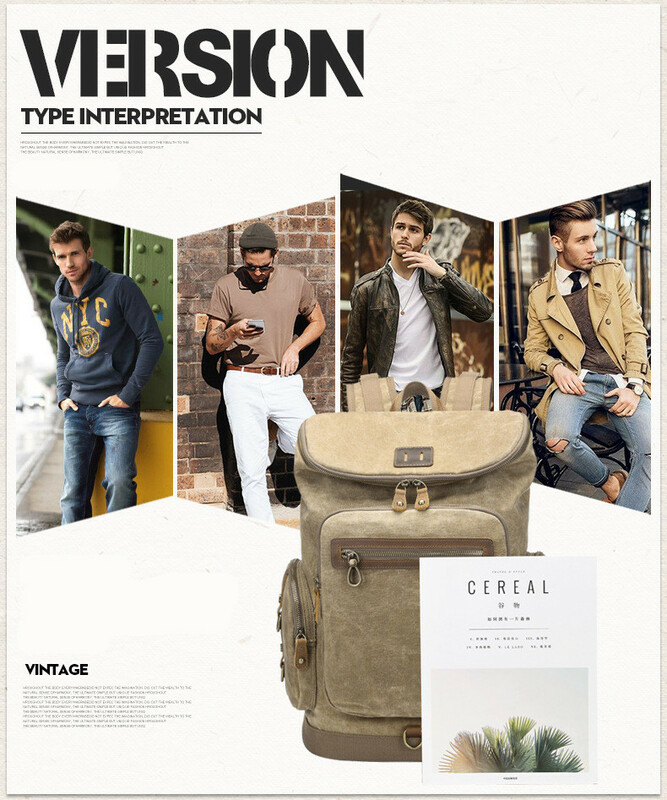 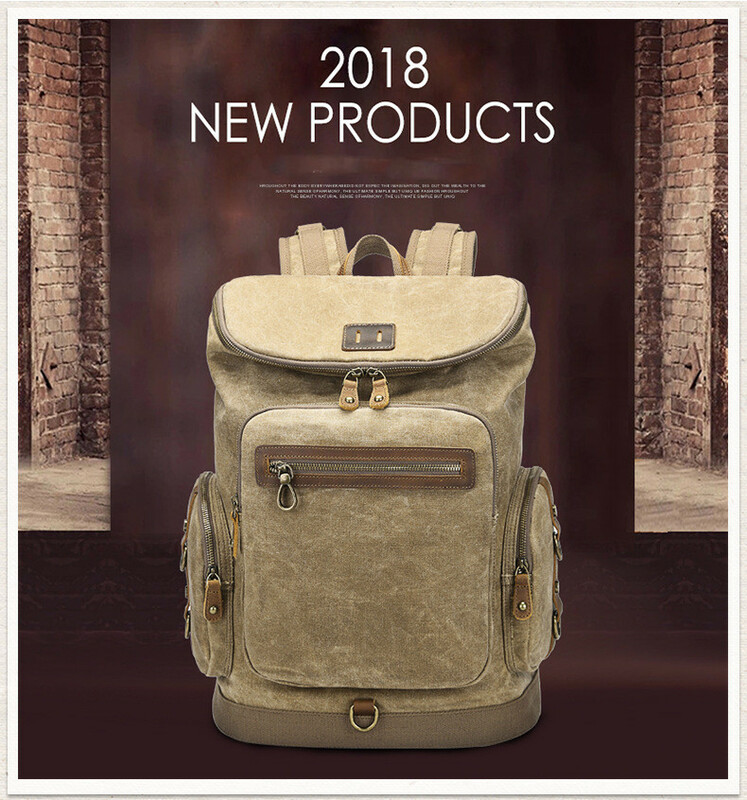 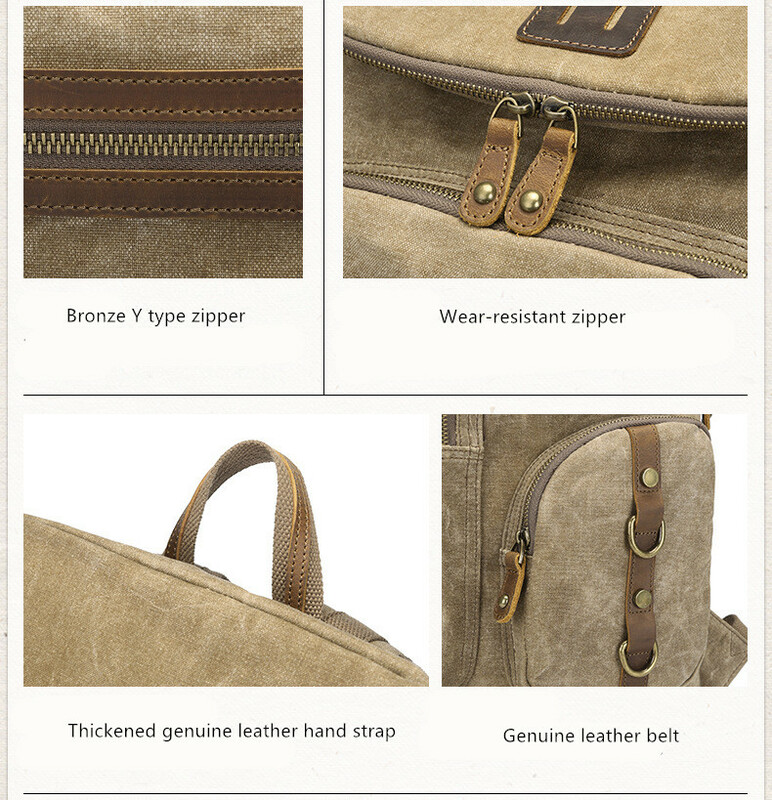 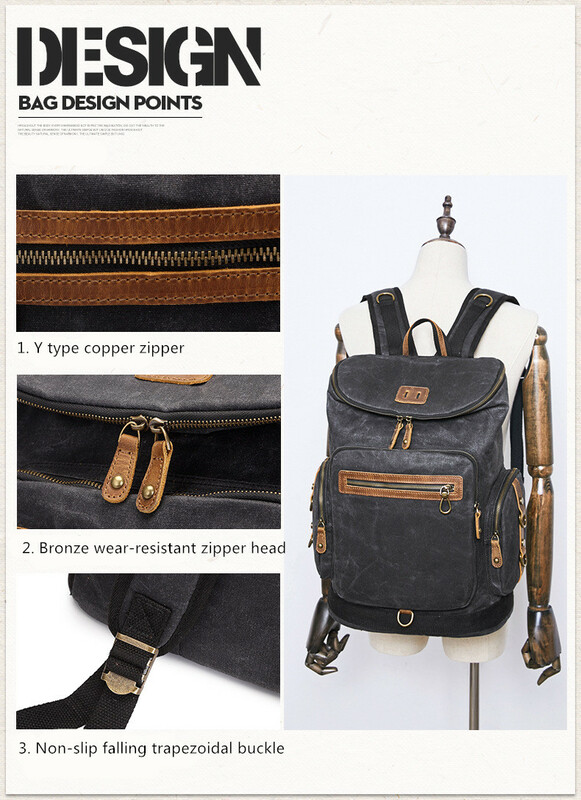 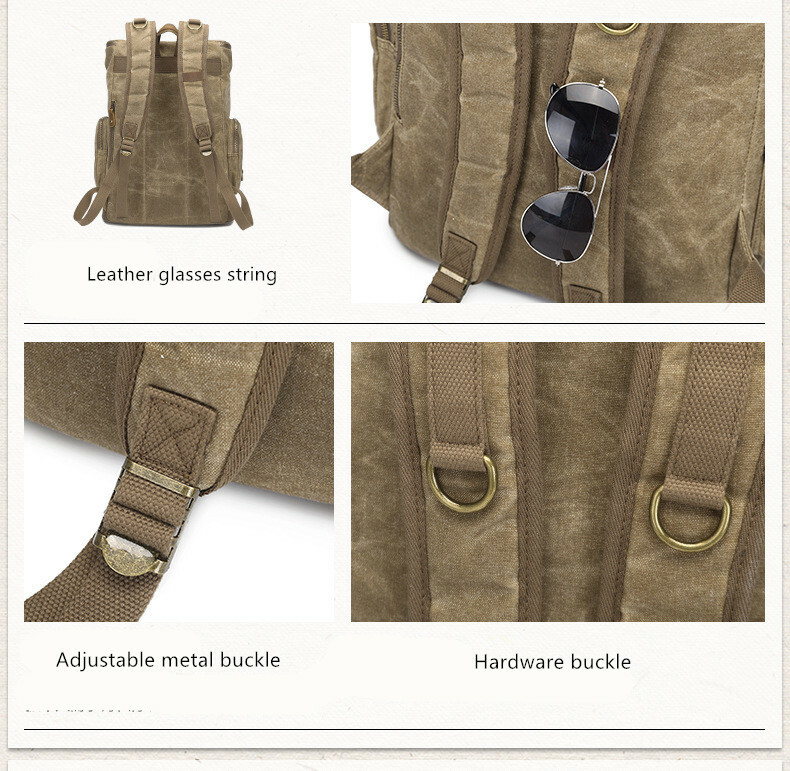 HIGH QUALITY: Our backpack adopts high quality canvas which is durable, wear-resistant and can be use for a long time,double zipper pocket, buckle side pocket, every details show the great workmanship. 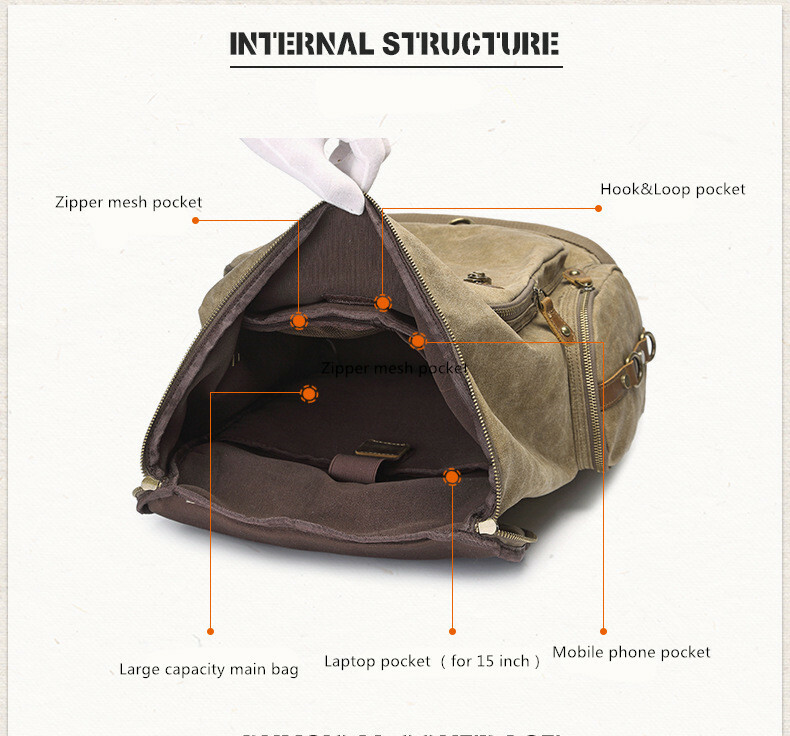 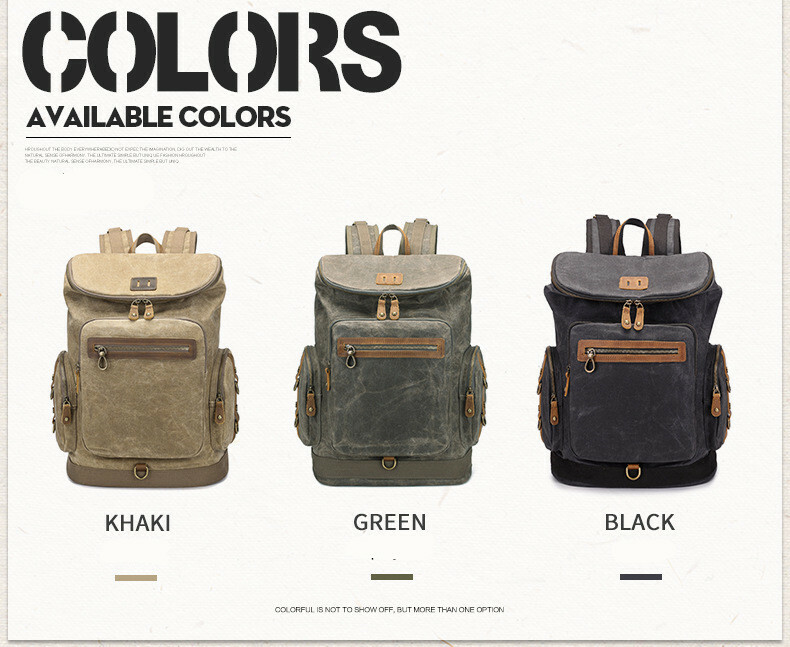 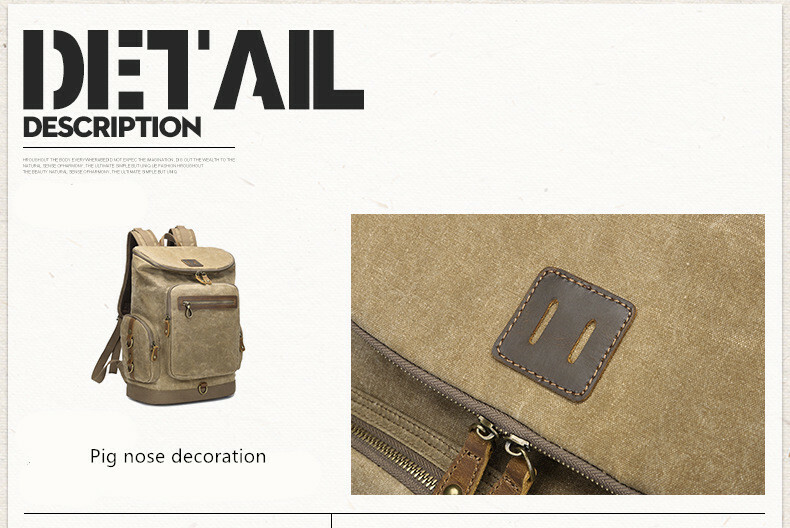 PRACTICAL: This rucksack is ideal for daily use such as school, work, traveling and hiking, Mountaineering, Camping.